Well kept bungalow on a great street. Nice design with side hallway plan, good size master bedroom with bay window and full 4 piece ensuite bath. South facing kitchen with great natural light, eat-in area, new Armstrong vinyl tile flooring, full pantry, plenty of counter space and cabinets. Basement is partly finished with room for a recroom, 4th bedroom and plumbing is set in the concrete for a bathroom. Many upgrades to this home including Merbau hardwoods throughout the main floor and in all three bedrooms. Mostly new tri-pane windows and a nice new patio door leading onto the back deck. Backyard is quite private, south facing, fully fenced with mature trees and well cared for gardens. Other mentionable upgrades include the garage floor replaced 2007, front arched window 2001, fresh paint and new hardware throughout. 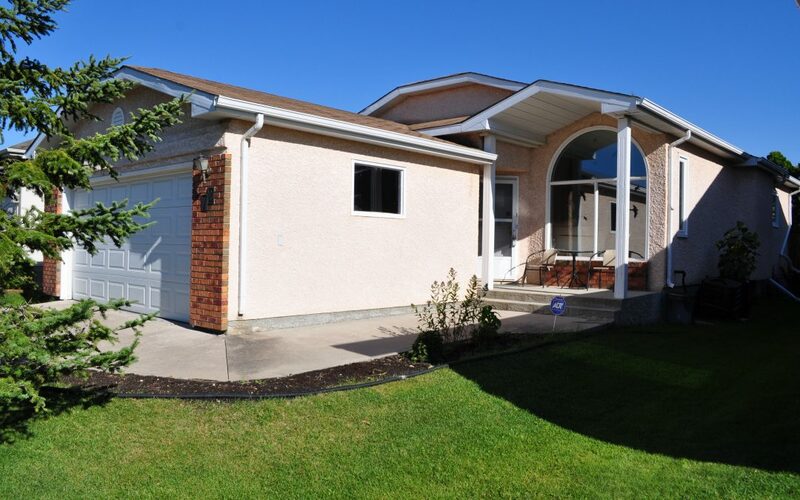 Amazing location just minutes from Kenaston Common and two schools within walking distance.